South Devon is home to a beautiful natural landscape, ranging from stunning coasts and cliffs to tranquil woodlands and moors. With so many wonderful areas to explore, South Devon is the perfect place to go if you enjoy walks through nature and spotting wildlife. While the coastal walks and moorland treks are ideal for confident walkers, younger children may have difficulty with some of the rockier patches. Luckily, there are numerous trails, parks and paths in South Devon that are well-suited to all family members, offering both a relaxing and tranquil time in nature as well as providing fun activities for the little ones! Plus, all of these places mentioned are open year-round and admission is free. Sitting on a sand spit on the Exe Estuary, the Dawlish Warren National Nature Reserve is just a ten-minute walk away from our Dawlish hotels. A delightful mix of sand dunes, grassland, ponds, salt marshes and mudflats, a walking path is laid out throughout the reserve for you to explore the area while ensuring it is conserved. Designated as a Site of Special Scientific Interest, the dunes and freshwater ponds provide habitats for a number of different wildfowl and wading birds as well as a host of other flora and fauna. Information huts can be found along the trail, providing you with more knowledge about the wonderful wildlife that can be found on the reserve, including rare birds and lizards. Peek out from the bird hides to spot some of the animals who make their home here, or see how many of the 600 types of flowering plants in the area you can find! 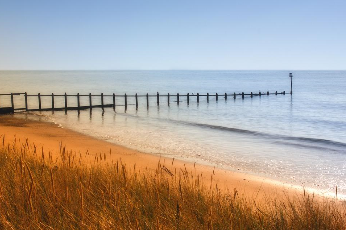 With a mile and a half of sandy beach accompanying the nature reserve, you can continue your walk with some fun beachside activities, followed by a refreshing drink or ice cream from the cafés and restaurants that frame the reserve. An incredible woodland area with routes to suit all abilities, Haldon offers everything from a gentle stroll to a heart-pumping biking trail! With paths constructed with kids in mind, throughout the walk you will find various interactive elements, from play equipment to intriguing wooden instruments or sculptures! 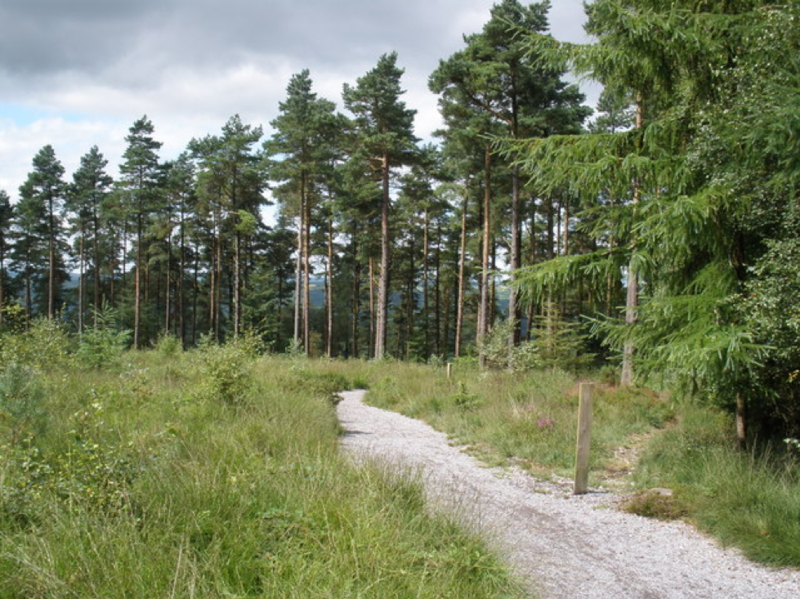 High up in the forest, you’ll have incredible panoramic views of the local area making for an excellent photography spot, or just somewhere to sit and take in the sights! Once you’ve finished your walk, head to the café for a cup of hot chocolate and let the little ones have more fun in the play area. Play amongst nature at Decoy, where a lakeside walk meets a delightful play park for the kids. 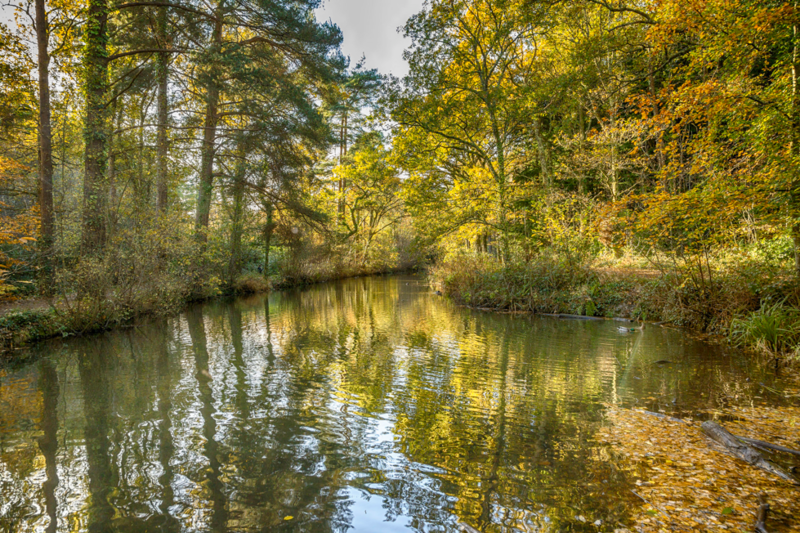 The walk itself is a short circular route around the lake and through a woodland area, and is popular with families and dog-walkers. Stop along the way to feed the ducks that spend their day on the lake before heading to the large children’s play area, with sections for toddlers, children and young teens. Accompanied by playing fields and with facilities for canoeing and kayaking on the water, Decoy is a great place to visit for families looking for some active outdoor fun! 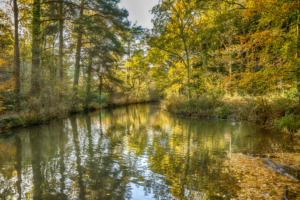 Another nature reserve in South Devon can be found at Stover Country Park, where there are plenty of walking routes around the lake to explore. A haven for animals, you’re bound to spot birds, butterflies and squirrels on your journey, with many other critters and creatures regularly seen in the area. One of the walks in the park is the Ted Hughes Poetry Trail, with a selection of the poets’ work beautifully displayed on poetry posts throughout the park. A smaller trail of poetry for children is also available, with illustrated posts of wildlife-themed poems. A working farm in South Devon, Occombe is enjoyed by many families, with kids loving the collection of animals as well as the play area. After walking through the small farm section with ducks, pigs, sheep, cows and llamas, you’ll come across the 2km nature trail, which leads through wooded areas and around a stream. Along the route, you’ll find bird hides to spot a range of birds landing on the feeders, as well as a few squirrels trying to get a nibble too! A longer trail is also available for those looking for a more challenging walk. If you like the sound of these family-friendly walks, then why not join us at the Langstone Cliff Hotel, which is ideally located near all of these incredible places. Get in touch today for more information!